Every time I see this photo, I get emotional. 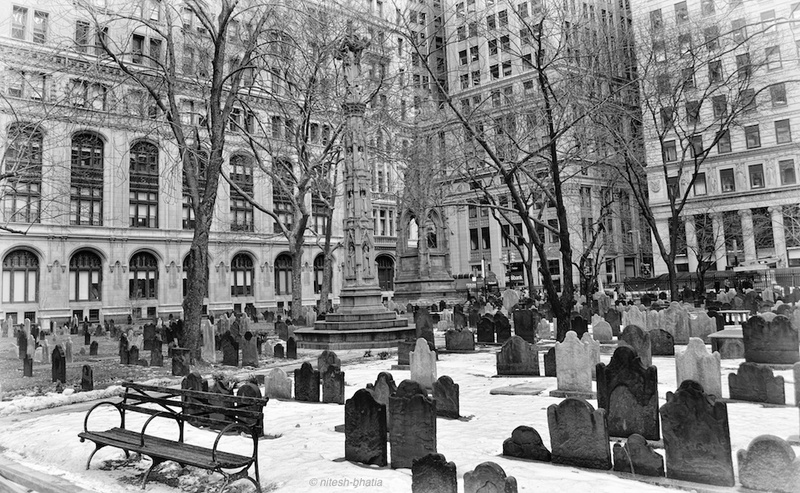 The photo is taken at St. Peter's Church in NYC. Towards the left is the graveyard. 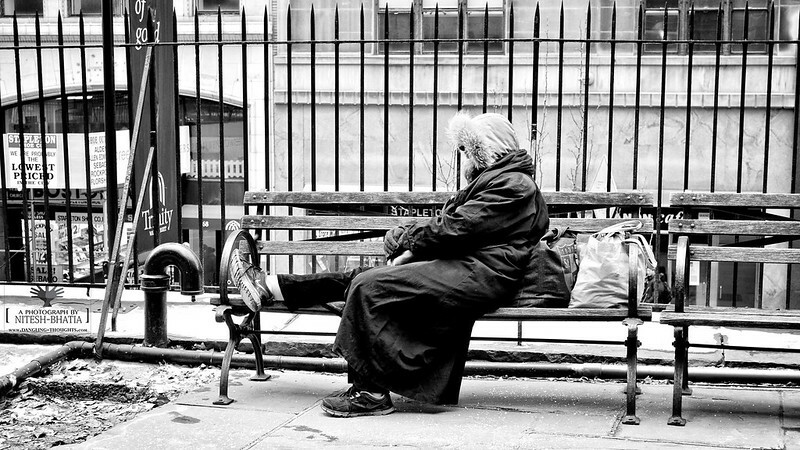 This lady was sitting on this bench for long time completely disconnected, as if she was missing somebody and deep into thoughts. She is facing towards the graveyard. It was ice cold outside - around minus 7º Celsius. I saw her sitting in the same pose for more than 2-3 hours - during my coming towards St. Peters and leaving the area.